A response from John Lewis is a very heartening read! A little over a week ago we wrote an open letter to John Lewis asking if they fulfilled a promise given two years ago about the amount of British made goods they intend on stocking before 2015. We have now received a response, and it makes for very pleasant reading. Thank you for your letter to Andy Street, Managing Director John Lewis, about John Lewis’s support of UK manufacturing, which has been passed to me to respond to as I am responsible for Sustainability and Responsible Sourcing at John Lewis. Firstly, having seen your website, let me say how impressed I am by your family’s decision to live a year on only British goods. I imagine it is proving a challenge, but nevertheless fulfilling. I can confirm that we continue to make very good progress and have exceeded our pledge to increase sales of UK products by at least 15% by end 2015 on a 2011 baseline. We have reported on our progress in our annual CSR report each year since. Our customers are increasingly looking to buy more products from the UK too, which helps John Lewis to further drive our commitment to source more products from the UK. For our financial year ending January 2014, we achieved sales of UK sourced products of £588m, a 31% increase on the 2011 baseline. We will publish 2014/15 results on 12 March 2015. These sales have come from products sourced from 215 UK factories across almost all products categories we sell: luggage, shoes, gifts and accessories, carpets and soft furnishings, beds, sofas, furniture and homewares. One significant change since 2011, is the inclusion of clothing in the list of products we are buying from the UK. Increasingly, as costs rise in the Far East, more garment manufacturing is relocating back to Europe and the UK and, I am pleased to report we sell a small range of schoolwear, menswear and womenswear made in the UK. John Lewis owns and operates a textile production unit in the north of England, which produces our own-brand duvets, pillows, furnishing fabrics and ready-made curtains, and provides our made-to-measure curtain service. Consequently, we believe we have a good understanding of the issues and challenges facing UK manufacturers and that we are uniquely placed to add our support. For this reason, we set ourselves the target we did to increase sales of UK products by at least 15% by end 2015 on a 2011 baseline. I hope my response reassures you that John Lewis remains committed to supporting UK manufacturing and that we are taking practical steps to increase that support where we can. It seems that John Lewis are not only delivering on their promise to stock more British good but are actually exceeding it!. This seems to be driven by a consumer demand for items made in the UK, which is exactly what needs to happen. It must be said that we have anecdotally seen an increased in the amount of British made goods over the last two years and the figures appear to confirm that. It would be interesting to write to the other high street stores that have made promises to stock more Britishwares over the last two years (namely Topshop, Marks & Spenser, Debenhams) and see if they have equally fulfilled their commitment. All that is really left to be said is “well done John Lewis and keep up the good work!”. Nothing Short of fantastic!… This sort of commitment by John Lewis bodes not only well for production & manufacturing in the UK as a whole but I personally will be proud to do more of my shopping and spend money in JL to show may own thanks. 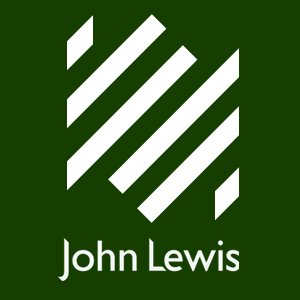 Simon – John Lewis are indeed a leading light for the high street. Another reason to shop at John Lewis (in addition to their quality of products and service). James – I think you’ve asked Andy Street the wrong question (that allows him off the hook too soon). The question shouldn’t be “how many?” but “what in particular are you doing?” (i.e. to specifically to help UK manufacturer’s versus foreign?). E.g. now please ask if he’ll waive his strict ‘one-in-one-out’ policy for UK suppliers, or telling his buyers that they can’t consider buying a new and innovative product unless it’s part of an extensive range (which a UK start-up venture obviously isn’t going to have on day-one). Their reply hints itself that numbers are up more to do with reshoring becoming increasingly economically attractive that John Lewis actually doing anything different or special now for UK suppliers compared to before they started their ‘Backing Britain’ PR campaign. Not looking for ‘charity’ here but just some evidence that he’s making concessions to help UK suppliers that he might not offer our competitors abroad. Otherwise it’s “move on please, nothing new to see here”. Love John Lewis, and was impressed with their thoughtful, comprehensive reply. Well done John Lewis! Even if their buying choices are driven by customer demand, or increased manufacturing costs abroad than that’s got to be a great thing too! Everyones a winner!